Classically, proper French style scrambled eggs are soft, light, fluffy and creamy. They do not much resemble the diner-style scrambled eggs we typically know and cook. They are almost like a slightly curdled custard. Of course they are delicious, but the problem is they require close to 30 minutes of constant slow stirring, sometimes using a double boiler! They are not something I do often and honestly this type of scrambled eggs is not always what I am looking for. Usually the regular “drier” eggs is what I would make for myself and for the family. With an immersion circulator controlling the water temperature to an exact degree, soft scrambled eggs are very easy to do. Another huge benefit to this method is that while the eggs cook, I am free to prepare the rest of the breakfast. 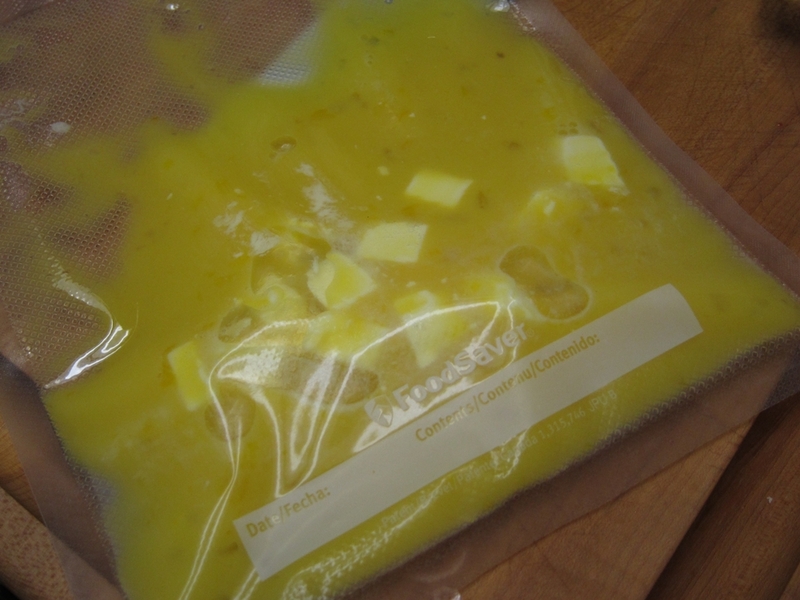 The process involves mixing eggs with salt, pepper and a little milk and then bagging them with a few cubes of butter. They are cooked at 72.5C for about 25-30 minutes. They are done at that point and can be served after shaking the bag for a few seconds to break up the curds. The first time I saw this method was on the Ideas in Food blog and since then they published their book. So I used their procedure and took it to the next level like they did by quickly putting the cooked egg mixture in an iSi canister and charged it with one NO2 charge (Tip: put some very hot water in the canister, leave it in for a few minutes and dump it out before putting in the eggs to make sure they don’t cool down too quickly). 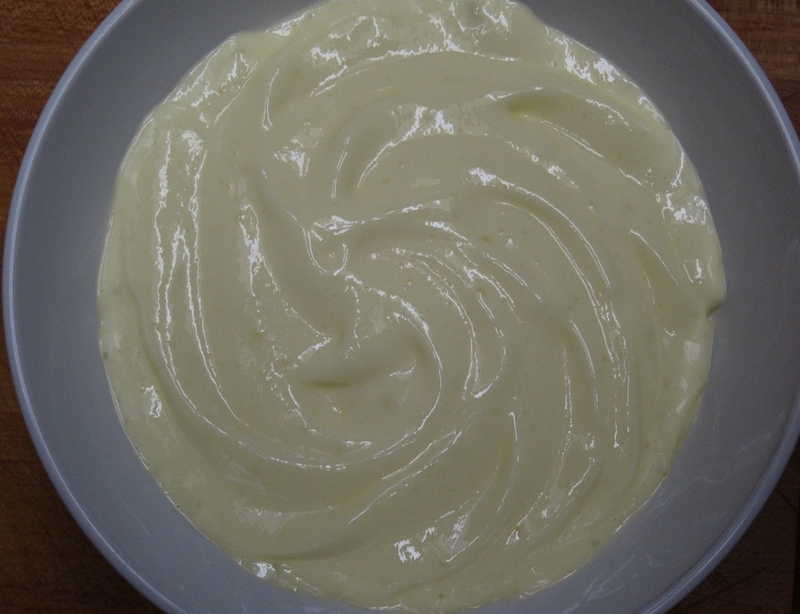 That made the eggs very luxurious and light when dispensed warm from the whipping canister. 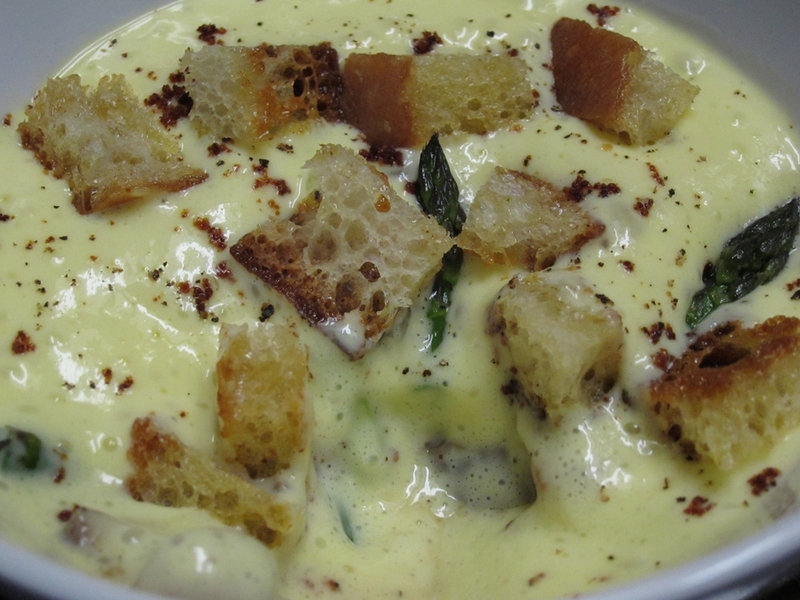 I served the aerated scrambled eggs with sauteed mushrooms and asparagus that was blanched and then cooked in butter. 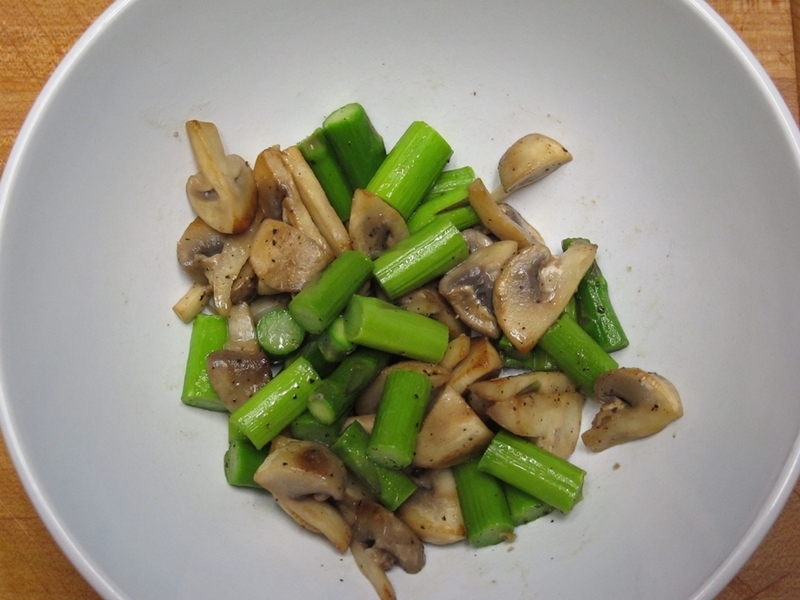 The mushrooms and the asparagus stems go in the bowl first, then I dispensed the eggs covering everything. 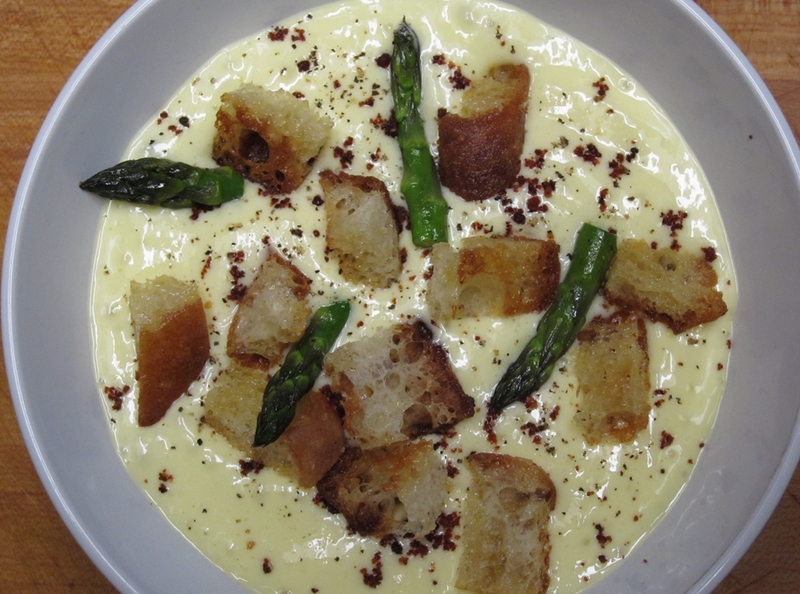 I garnished the bowls with butter-fried bread chunks, asparagus tips and toasted butter solids. Those butter solids by the way are fantastic stuff. I first saw them on David Brazelay’s EatFoo blog (David now runs the Lazy Bear underground restaurant in San Fransisco). They are really the dregs left after clarifying butter, basically the milk solids. To make a bunch of them though a bit of dried milk powder is added to the melted butter and allowed to brown gently. What you end up with is a super flavorful and nutty little bits that add great buttery flavor and a nice texture to all kinds of foods.